The oldest standing and operating lighthouse in the Americas. 1752 The Governor and Council established a lottery to place a lighthouse at what was then called Cape Sambrough, this attempt was unsuccessful. 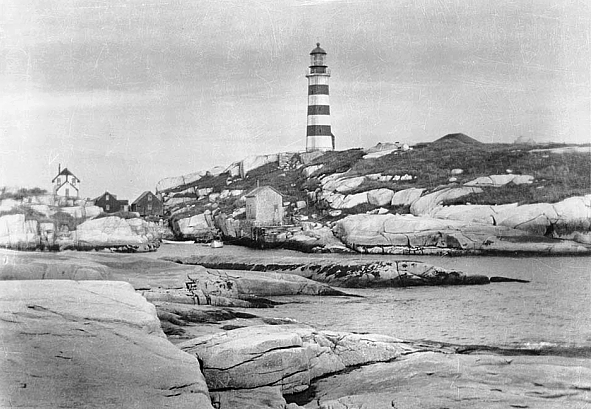 1758 (October 2) General Assembly of Nova Scotia passed an act to establish a lighthouse on "Sambro Outer Island”. These funds came from a tax on ships entering the harbour and duties on “spirituous liquors”. 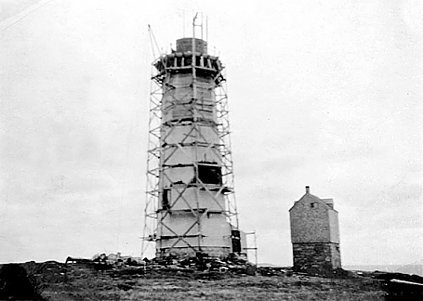 Work on the lighthouse commences in November. 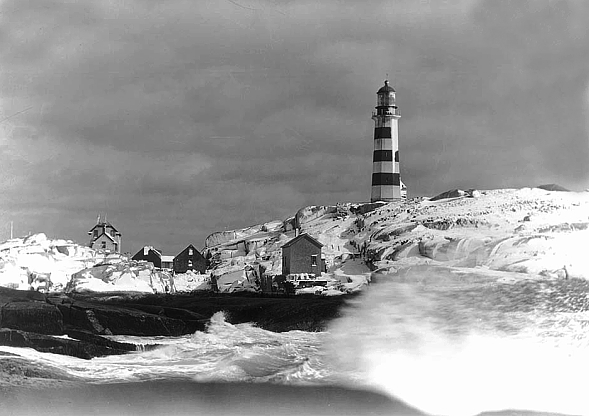 1759 Sambro Island Lighthouse was lit for the first time. 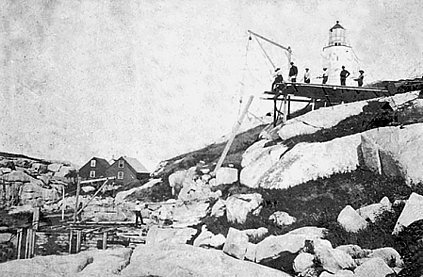 The initial 60 foot tall tower was constructed of stone and contained a white light which stood 115 feet above sea level. Joseph Rous was appointed as the first light keeper. 1771 The wreck of the sloop Granby (with loss of life and loss of pay for the dockyard staff) highlighted problems with the manning and lighting of the lighthouse. 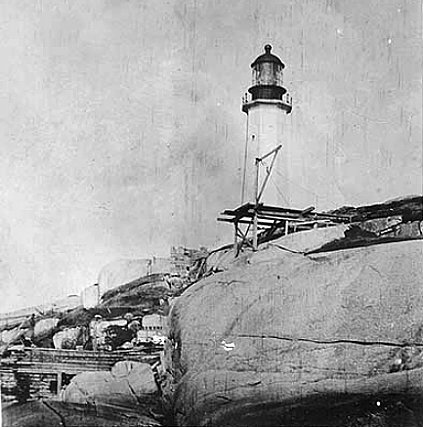 Many complaints arose around the sporadic lighting of the beacon; some ships had to fire their cannons in order to have the lighthouse keeper light the beacon. At that time the light was fueled with fish oil which made for a dim light; the glass around the light would become smoky and frost up in cold weather due to the high moisture content in the inefficient fuel. 1772 Fountain lamps were installed which dramatically increased the quality and intensity of the light. Matthew Pennell Sr. became the new light keeper. 1801 Matthew Pennell Jr. became the new light keeper. 1817 James Goodwin became the new light keeper. 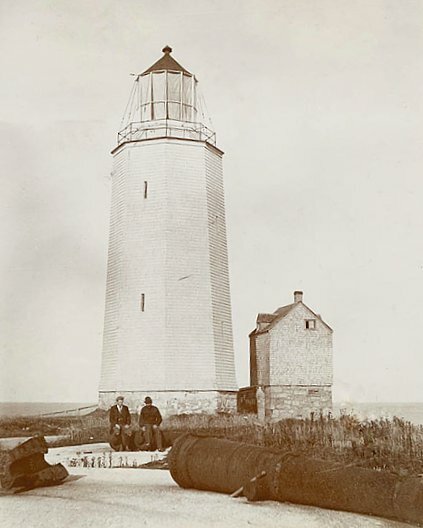 1856 William Gilkie became the new light keeper. 1864 A new iron lantern with plate glass windows and a light with reflectors was installed. 1867 (July 1) Canada becomes a country. 1884 SS Daniel Steinmann wrecks off Sambro Island. 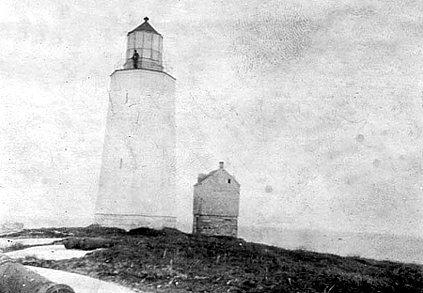 Only nine people of the 130 aboard survived to be rescued by keepers of the lighthouse. 1895 Sambro served as the departure point from North America for Joshua Slocum's famous solo navigation around the world. 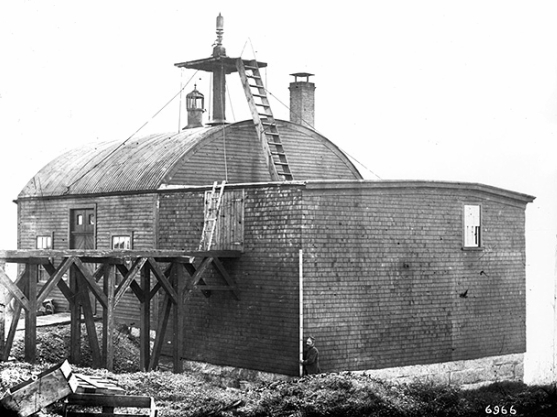 1906 An extra 22 feet was added to the height of the tower and Fresnel dioptric lens was installed. 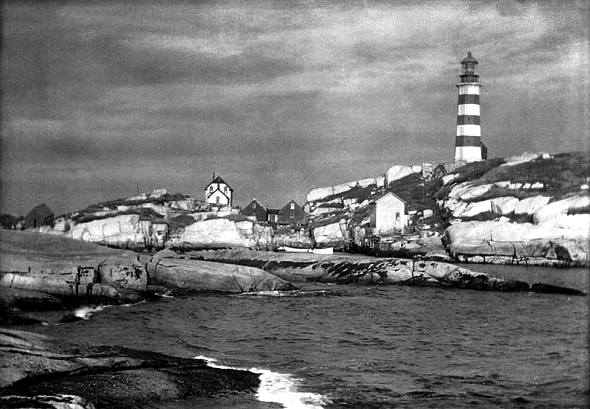 1908 Sambro Island Lighthouse receives its distinctive 3 red stripes. 1914 A.J. Gilkie became the new light keeper. 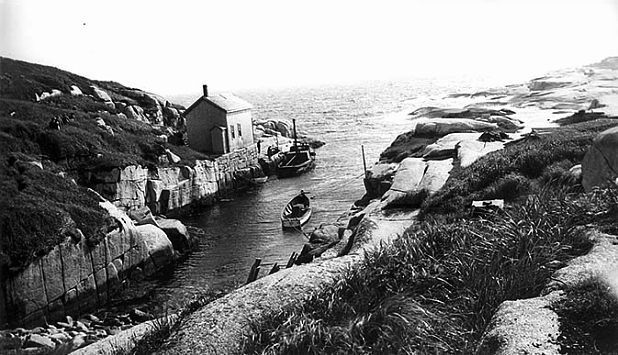 1918 SS City of Vienna was wrecked on the shoals near Sambro Island. 1929 W.A. Smith became the new light keeper. 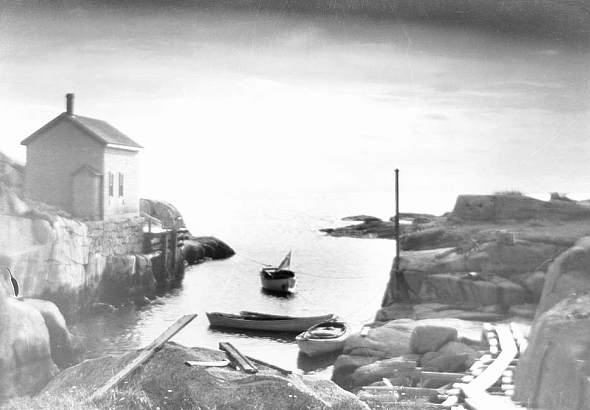 1937 Sambro Lighthouse was designated a National Historic Site. 1945 (January 14) The British tanker “British Freedom” was torpedoed and sunk by U-1232 off the coast of Sambro Island during convoy assembly. 1950 Lightkeeper W. A. Smith noticed that the lighthouse was tilting (by about 8 inches). A thick concrete collar was poured to help stabilize the tower. 1961 G.A Soltesz became the new light keeper. 1963 A diaphone was installed to replace the cannons, steam fog horn, bomb rockets and acetylene gun which were previously used for signaling ships. 1965 J.E. Gwynn became the new light keeper. 1966 The iron lantern was replaced with an aluminum tower and a 36 inch airport beacon bringing the new height of the structure to 25 metres. This new beacon has a 25 kilometre range and flashes at 5 second intervals. The original iron lantern (with its Fresnel lens) is now on display in the Maritime Museum of the Atlantic in Halifax. 1968 J.G. Fairservice became the new light keeper. 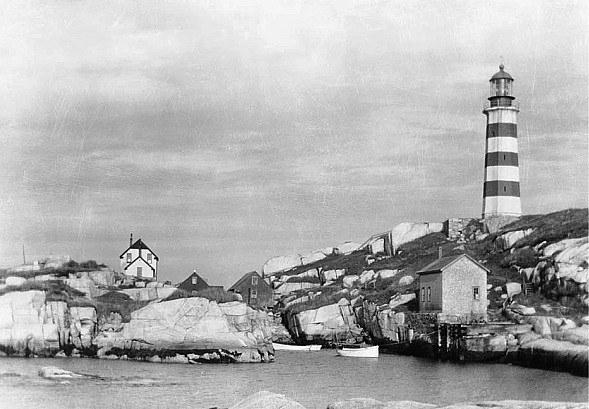 1988 Sambro Island Lighthouse became automated. Kelly Fairservice Brown completed activities as the last light keeper. 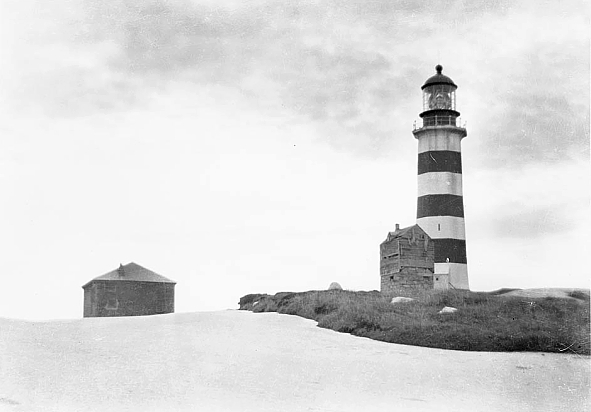 1996 The lighthouse received Federal Heritage Review Board Classified status, the highest ranking status for Canadian Government Heritage Buildings. 1997 Through the efforts of the Nova Scotia Lighthouse Preservation Society (NSLPS), Sambro Island Lighthouse was designated a protected heritage building. It is at the top of the list of Canadian lighthouses recommended for preservation by the Canadian Coast Guard to the International Association of Lighthouse Authorities. 1998 The concrete platform (poured in 1906) holding the lantern was repaired and the beacon tower (installed in 1968) was reinstalled more securely. 2004 Sambro Island Lighthouse designated the oldest standing and operating lighthouse in the Americas. 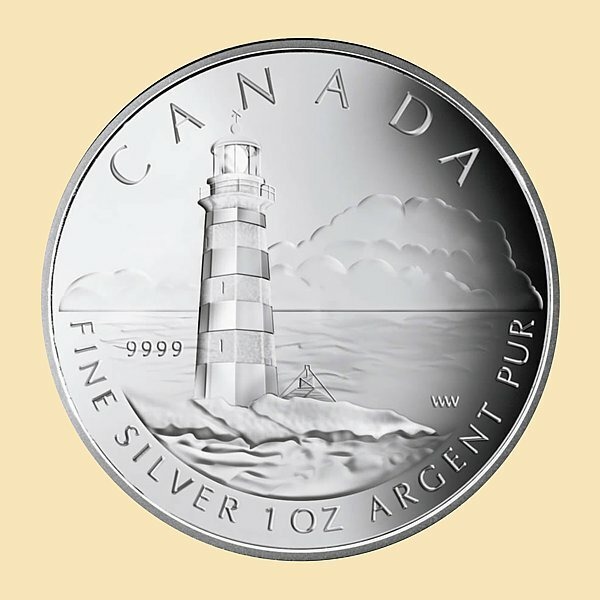 Colonial Acres Coins released a commemorative $20 silver coin depicting the Sambro Island Lighthouse (shown below). 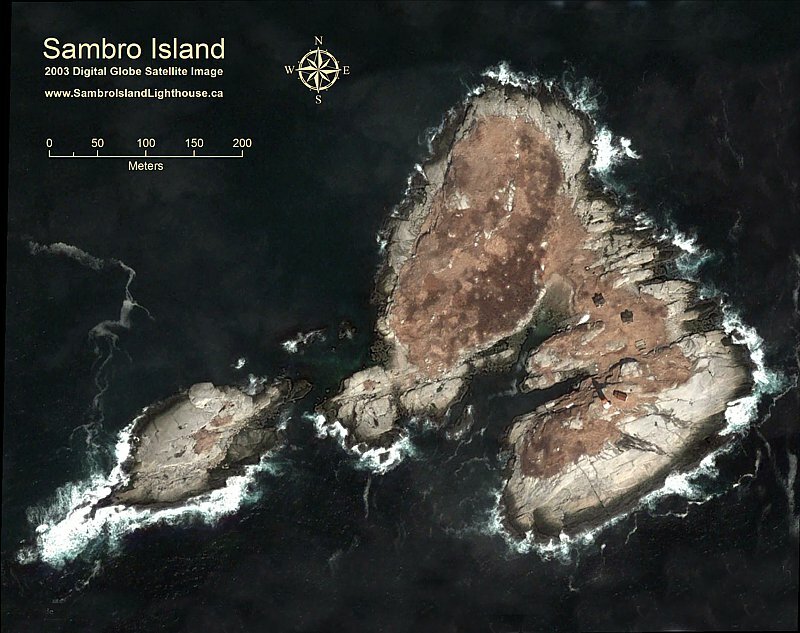 2007 A storm severed the underwater power cable connecting Sambro Island to the mainland cutting off electricity to the light and foghorn. The Coast Guard maintained the light by installing a temporary diesel generator and flying fuel out by helicopter. 2008 A solar power array was installed to power the light and foghorn. The diaphone was replaced by electronic horns and the lighthouse receives a new coat of paint. A Tideland TRB400 lens system and 50 watt quartz lamp was installed giving the light a range of 24 nautical miles. Derelict light keeper's houses was destroyed by a suspicious fire. 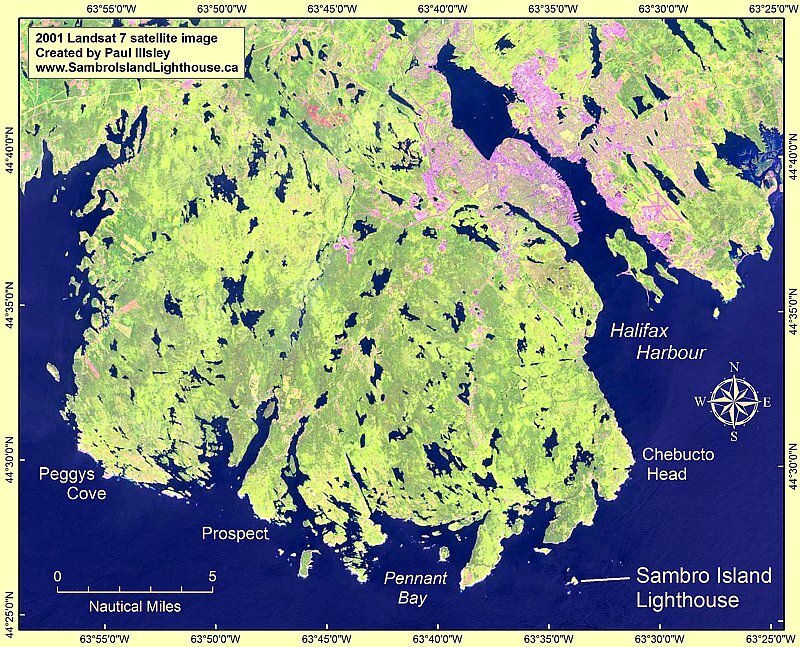 2010 The federal government declared Sambro Island Lighthouse surplus. 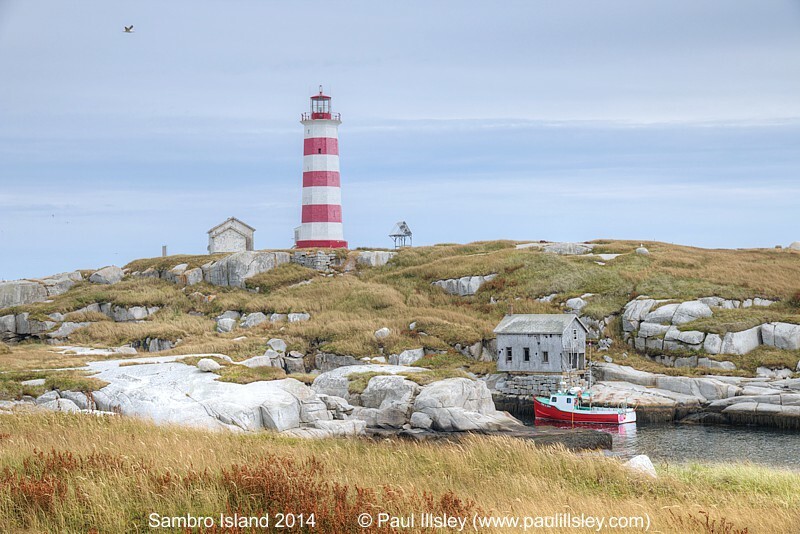 2013 (August 15) A petition to secure funding for the Sambro Island Lighthouse was presented to the N.S. Government (no commitment was given). 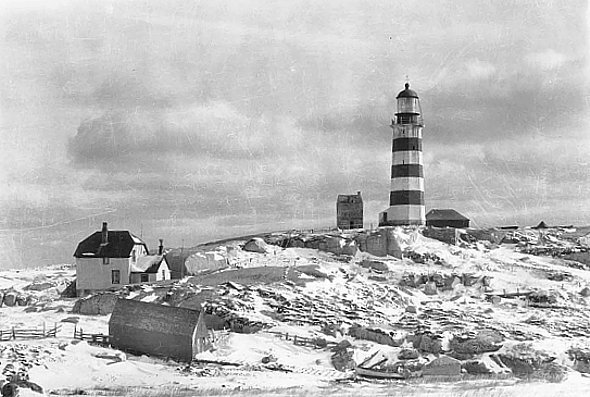 (December 3) Geoff Regan (Liberal MP for Halifax West, Nova Scotia) called on Federal Parliament to create a strategy to preserve the Sambro Island lighthouse as an important symbol of Nova Scotia’s local heritage. 2014 (April 8) Megan Leslie (MP for Halifax, NDP Deputy Leader and Environment Critic) stood in the House of Commons in Ottawa and presented a private member's bill to have Sambro Island Lighthouse designated a heritage lighthouse and that the lighthouse's preservation be taken over by Park's Canada. 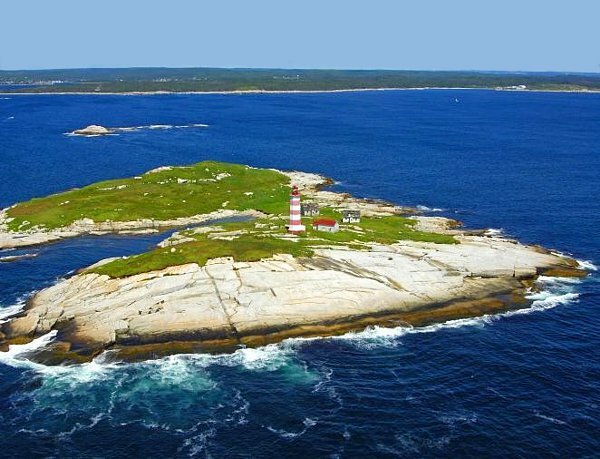 2015 (May 9) The federal government announced it will contribute $1.5 million toward the restoration of Sambro Island lighthouse.